CPCB has established four ambient air quality monitoring stations in Agra, at Tajmahal, Etmad-ud-daulah, Rambagh and Nunhai industrial Area. These stations are functional since 2002. Apart from these, two stations are established under NAMP programme and one continuous ambient air quality monitoring station is also operational in Agra (operated by UPPCB). The data of AAQM is regularly submitted to Hon’ble Supreme court. The data is also provided to TTZ authority, (formed by Ministry of Environment and Forests) for linking the developmental activities with air quality objectives in TTZ, for overall protection of Environment around Tajmahal. The AAQM data is also displayed on website of CPCB for information to public and other stake holders. 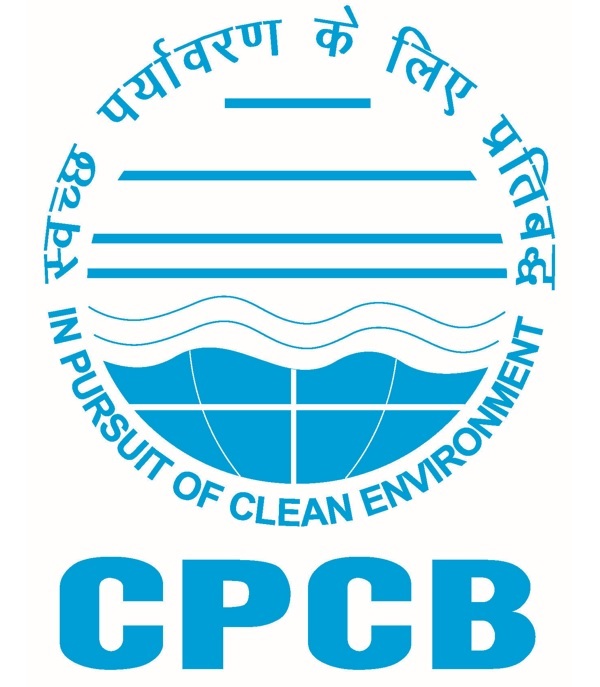 CPCB project office Agra has also established the laboratory with facilities to analyses ambient air quality samples. The Central Pollution Control Board delineated the Taj Trapezium Zone on the basis of the weighted mean wind speed in twelve directions from Agra to Mathura and Bharatpur. The boundaries of the zone were made keeping in mind the effect of any pollution source in this zone on the critical receptor- The Taj Mahal. There was a ban on new units of “High Polluting Nature” & the expansion of the existing units was not to be permitted. 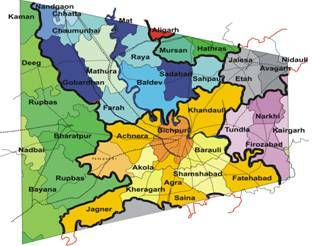 The Taj Trapezium Zone (TTZ), which is in the form of trapezium (area 10400 sq.km.) bounded between 26045’N & 77015’ E to 27045’N & 77015’E in the west of Tajmahal and in the East of Tajmahal between 27000’N & 78030’E to 27030’N & 780 30’E. The Taj Trapezium zone also includes small parts of Aligarh and Dholpur. The region as a whole encompasses an area of 10,400 sq. kms..
Each of these regions has its own importance in the contribution to the region’s economic growth. The natural and cultural setting in each administrative unit varies widely and promotes sectoral development accordingly. The region covers sensitive receptors such as the Taj Mahal in Agra, Keoladeo National Park in Bharatpur, Soor-Sarovar bird sanctuary in Agra , Mathura& Vrindavan are popular religious destination and the Industrial area of Firozabad, particularly famous for its glass industry.